George Portokalakis is a travel professional passionate with Cretan traditional cooking and food and that is what he is offering. He has cooked all his life following the principles his grandmother, mother and all Cretan mothers taught him. 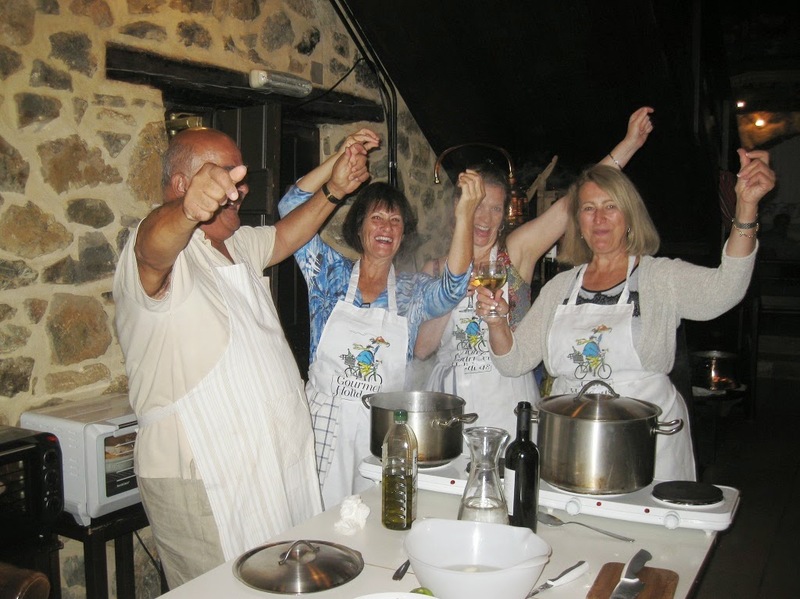 The cooking classes he provides are Cretan traditional methods that focus only on the philosophy of cooking and the principles Cretan mothers follow. His classes don’t provide fancy food but real healthy food cooked with fresh ingredients. Most importantly, everything given is served with love: nothing is better and tastier than food given with love and appreciation. Cretans appreciate most people who travel thousands of miles to come and visit their island. They feel honored. Classes are a kind of spiritual journey as well. Guests not only learn how to prepare different dishes, they gain new perspectives and are able to create new dishes using the same ingredients. His guests have a great time and a lot of fun.